Whether you're a kid or kid at heart, meeting your favorite characters at the Disney Parks never stops being magical! OK, maybe if the line is forever long, but still. If I see one of my favorite Pixar characters and the wait time is reasonable (20 minutes tops for me), I'll totally jump in and take some pictures. 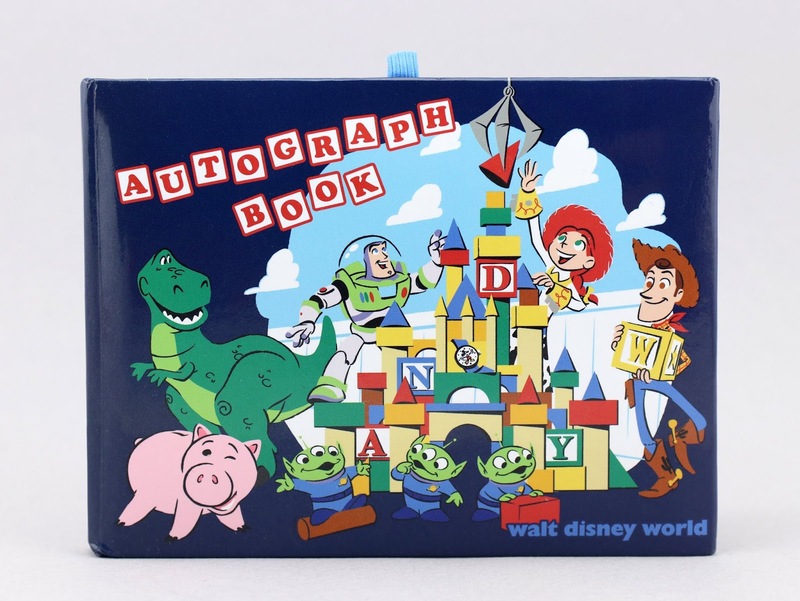 And now that I have this official Pixar Walt Disney World Autograph Book, I can start collecting autographs as well—something I've never really done too much of! 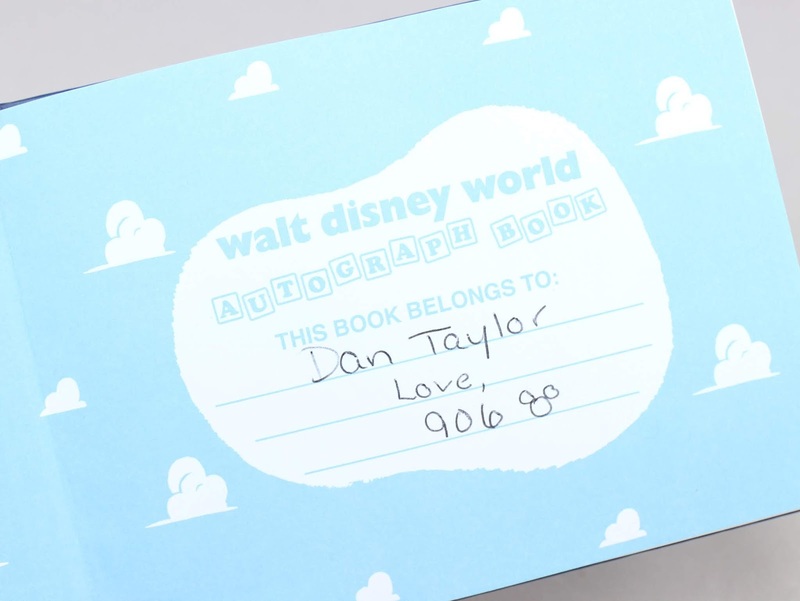 Thanks to my Disney Store "Ohana" (store 906), I now have this really cool book to bring on my next Disney trip. This was such a thoughtful going away present for when I left the store back in November. It's signed by all my fellow cast members with lots of well wishes! It's definitely a treasure filled with some magical memories and plenty of space still for some autographs and new magical memories to come. The cover art is absolutely adorable featuring the Toy Story gang building Cinderella's castle out of blocks (and notice some spell out "Andy")—so clever! I love the touch of "the claw" topping the castle with the final piece. 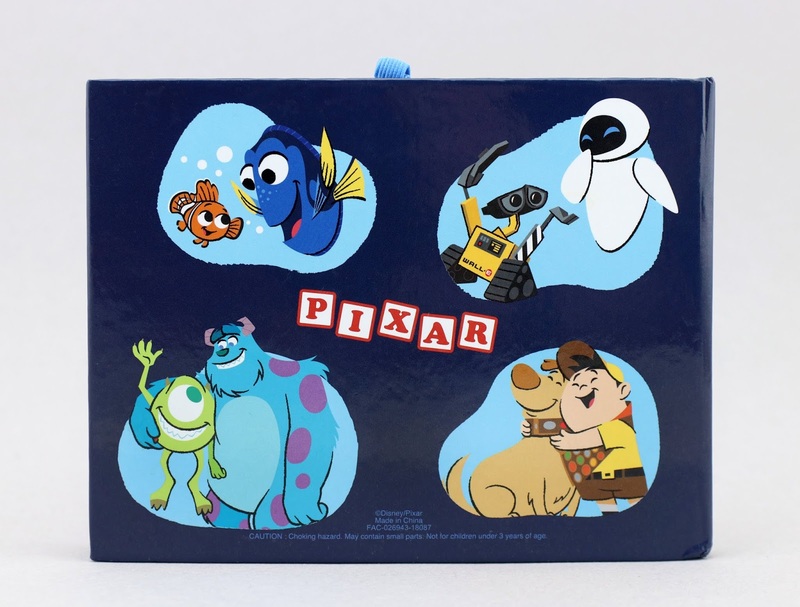 The back of the book is super cute too, featuring more Pixar pals: Nemo & Dory, Wall·E & Eve, Mike & Sulley and Dug & Russell! It doesn't get too much cuter. The book is 4 3/4'' H x 6'' W x 1/2'' D in size, has 50 blank pages, features an elastic pen loop (pen not included, but I recommend THIS one with the same art) and originally retailed for $9.99. eBay using this direct link if you're interested. Did you pick this up for your collection? Are you one that likes taking pictures with characters in the parks or not so much? Do you collect autographs? Let me know your thoughts down below!